The acronym OKR stands for Objectives and Key Results, a popular goal management framework that helps companies implement strategy. The benefits of the framework include improved focus, increased transparency, and better alignment. OKR achieves this by organizing employees and the work they do around achieving common objectives. An OKR consists of an Objective, which defines a goal to be achieved, and up to 5 Key Results, which measure progress towards the Objective. Each OKR can also have Initiatives, which describe the work required to drive progress on the Key Results. The framework includes a number of rules which help employees prioritize, align, focus and measure the outcome of the work they do. OKR helps entire companies communicate company strategy to employees in an actionable, measurable way. It also helps companies to move from an output to an outcome-based approach to work. An Objective is a description of a goal to be achieved in the future. An Objective sets a clear direction and provides motivation. An Objective can be thought of like a destination on a map. 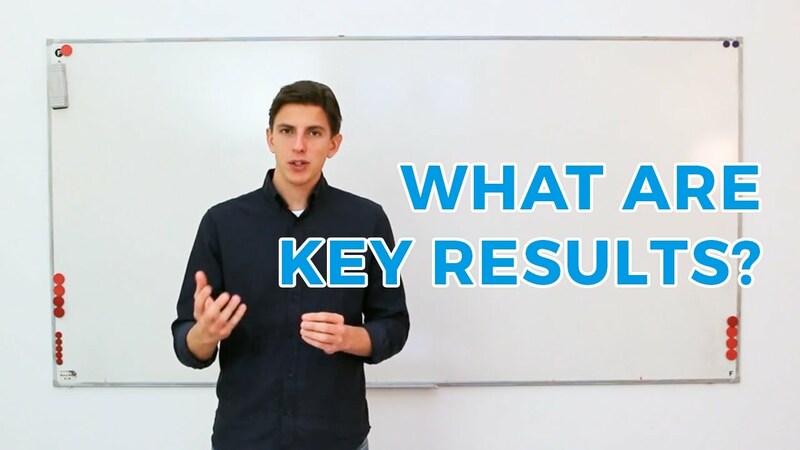 What is a Key Result? A Key Result is a metric with a starting value and a target value that measures progress towards an Objective. A Key Result is like a signpost with a distance that shows how close you are to your Objective. An Initiative is a description of the work you’ll do to influence a Key Result. If an Objective is your destination and a Key Result shows the distance to go, an Initiative describes what you’ll do to get there, (take a car, row a boat, etc.). An Objective describes where you want to go and sets a clear direction. Think of it as a point on a map, a destination like New York. A Key Result shows you how you’re progressing towards your Objective. Think of it as a signpost with a distance marker. An Initiative describes what you’ll do to influence your Key Results. Think of it as the description of what you’ll do to get to your destination. OKR has a long history that can be traced back to 1954, when Peter Drucker invented MBO or Management by Objectives. In 1968 Andy Grove co-founded Intel and while CEO at Intel he developed MBO into the model of OKR which we use today. In 1974 John Doerr joined Intel and learned OKR during his time there. Doerr went on to join Kleiner Perkins Caufield & Byers, one of the first major investors in Google and became an adviser to Google in its very early days. Doer introduced OKR to Google’s founders, Larry Page and Sergey Brin, who implemented OKR at Google, which still uses it today. Current research shows that when comparing groups of employees who used OKR against those that don’t, those that used it proved much more effective at their jobs, resulting in better performance and increased sales. In fact, the group who didn’t use OKR actively asked to be involved in the process in future cycles. The biggest impact of using OKR in most organizations without goal management already in place, or those who focus purely on metrics and KPIs, is a cultural shift from output to outcomes. OKR creates focus, transparency, and alignment for all the work in an organization. 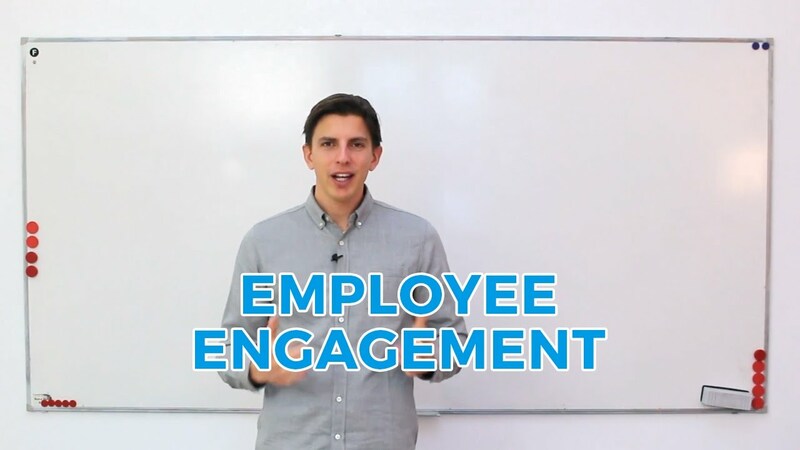 These three factors combine and lead to increased employee engagement. OKR helps managers and employees align the work they do, ensuring everyone in the organization is moving in the same direction. OKR helps focus only on what’s most important by prioritizing only the work that has the biggest business impact. People achieve remarkable results when they’re engaged with a purpose. OKR helps communicate and execute strategy in a way everyone understands. Get the latest news and insights with OKR Insider, our monthly newsletter. Before you start using OKR it’s important to have a clear understanding of the challenge you want to solve, or to put it another way, the Business Objective you’re hoping OKR will help you achieve. For most organizations, OKR solves the challenge of executing business strategy in a way that’s clear to all employees, transparent and measurable. For it be successful, the implementation and management of OKR should have an owner within the organization. This person is usually called the “Ambassador” and the role is to ensure that everyone who will be using OKR, is trained, engaged and has ongoing help and guidance. OKR is a framework but it’s also a learning process that often involves a fundamental shift in people think about and measure the work they do, moving away from a focus on output and towards a focus on outcomes. The structure of an OKR program can be broken down into 4 levels; 2 which cover strategy and 2 which cover execution. OKRs are usually created following a cadence of two timeframes, yearly and quarterly. Company Objectives run in yearly cycles which coincide with most companies yearly strategic review cadence. This makes it simple to take organizational strategy and translate it into Company Objectives. Group OKRs owned by teams and departments follow a quarterly cadence. This allows shorter review cycles and makes it easy for organizations to change direction if tactics are not driving progress towards the Company OKRs for the year. 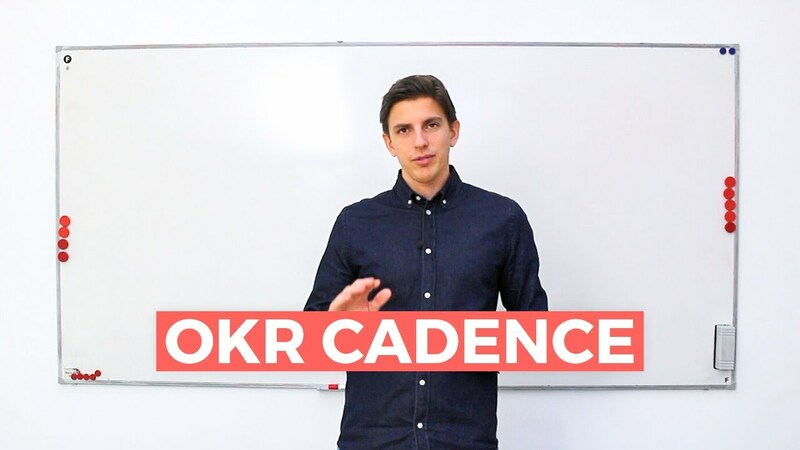 More info on how to find the right OKR cadence can be found in here. If you’re working at a fast moving company with shifting goals, this post explains OKR can keep you on track when your business goals are shifting. Most organizations have a mission and vision but often these are difficult to understand and can be confused with one and other. We recommend turning your mission and vision into an Ultimate Goal or when using Perdoo, an Ultimate OKR. Your Ultimate Goal defines your organization’s long-term purpose and acts as the north star to which all other OKRs align. An Ultimate Goal should aim for a point at a considerable distance in the future; 10, 15 even 25 years is reasonable. A good example of an Ultimate Goal is when John F Kennedy decided that America should put a man on the moon, and coined the term “Moonshot Goal”. “Before the decade is out, land a man on the moon and return him safely to earth”. 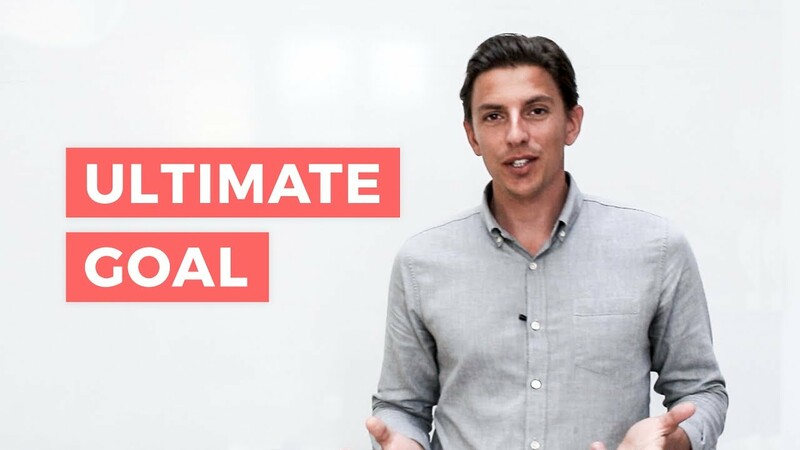 This video explains how to turn mission and vision into your Ultimate Goal, or Ultimate OKR. Company level OKRs represent your strategy. These are the 3 or 4 things your organization decides it must achieve in the next 12 months. Most organizations review their strategy yearly and this sets the timeframe for Company OKRs. It’s important when you decide what you want to achieve in the next 12 months that everyone in your organization has the chance to give their input. We recommend starting with an OKR workshop where all key stakeholders responsible for company strategy first ask for and then gather, input from employees on what they think top priorities should be. This input can then be then discussed in relation to existing company strategy and broken down into 3 to 5 OKRs. This can be done using post it notes, collaborative documents or even a whiteboard. The objective of the exercise is to come to an agreement on what the organization should have achieved by the beginning of the following year. Group Objectives should always align to the Company Objectives and support your organization’s Ultimate Goal. Group Objectives should always be created once Company OKRs have been agreed upon. Group Objectives should alway be the things that, if you achieve them, will have a huge positive effect on your entire organization. Achieving Group Objectives, just like Company Objectives, should be cause for a celebration! Keeping Group Objectives within a short and strict time frame, encourages focus and allows you to review them in cycles. This not only helps you quickly identify what’s working and what isn’t, it also allows you to change course in a new cycle if your Group Objectives are not contributing to your Company OKRs. Group Key Results should reflect a big change, something that, if you achieve 70% to 80% of your target, the rest of your organization will notice. Make them tough. If they’re easy to achieve they’re not challenging enough. Group Key Results should be focused and have a clearly defined scope. While Company Key Results cover broad metrics, Group Key Results should measure more granular progress, like sales of a specific product. Group Key Results should always be things you measure that you don’t do, but you can influence. Writing 10 blog posts is a bad Key Result, it’s something you do. Achieving 1000 views on a blog post you wrote is a good Key Result, as it’s something you can’t control but you can influence. Initiatives describe the work required to influence Key Results. In contrast to Key Results, which clearly measure progress toward an Objective, Initiatives are just hypothesis for what work might deliver the biggest impact. Initiatives are tasks, projects, or similar activities related to an OKR without having a direct connection to the Objective’s progress. Regularly checking in with your Key Results will help you decide whether your Initiatives delivered the desired results or not. If they don’t, you should think about changing your Initiatives. The benefit of setting OKRs AND Initiatives is that there is a clear separation between outcomes (Key Results: what did we achieve?) and outputs (Initiatives: what did we do?). You can commit to the same OKR while staying agile on an operational level by using Initiatives. An Initiative must always be specific. Its scope must be clearly defined, and the owner of the Initiative must know what to do. It cannot be vague like an Objective can be. An Initiative must, therefore, contain verbs which are unambiguous, such as establish, write, launch, visit, release, etc. Objectives can contain less specific verbs, such as improve, increase, and so on. You should have full control over your Initiatives, which means that it will be in your power to complete them. This means there should be no dependencies on something or someone else. It also means that you can be held accountable for not completing your Initiatives; it will be more difficult to hold someone accountable for not achieving his or her OKRs (as they will not have full control over the latter). We’ve spent time gathering together some common examples of how OKR can be used for different departments within an organization. These examples represent our experience internally as well as the experience of our customers. These guides can be used by anyone looking to introduce OKR to their teams or even their entire organization. These guides can be found in our resources section. There are several ways to manage OKRs: you can use a spreadsheet, a dedicated software tool like Perdoo, or even pen and paper. We’ve built a basic template that allows you to create your first OKRs. It’s free, simple to use, and great for small teams with less than 25 employees. Will OKR work for my company? How often should I set OKRs? How does mission and vision work with OKR? How does OKR improve employee engagement? 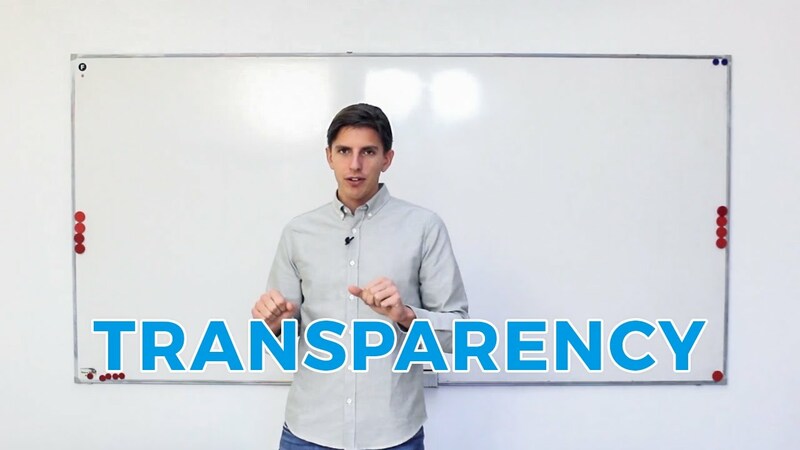 How does OKR improve transparency? What’s the difference between OKRs and KPI’s? Why don’t you recommend setting individual OKR’s? How do I tell what’s a Strategic OKR and what is a Tactical Objective? The difference is between a Strategic and Tactical Objective is simple. A strategic Objective is something with a 1-year timescale and is always owned by the entire organization. A strategic Objective is something the organization as a whole has decided to work towards. A tactical Objective has a shorter timescale of usually 1 quarter and is owned by a team or department. Tactical Objective are created after strategic Objective and contribute to them. What do I do if my strategy changes during my OKR cycle? Don’t worry! This is a common challenge faced by small teams especially. In these cases we’d recommend changing your cadence. How do I create OKRs for something that’s not measurable? Almost anything can be measured. If you’re struggling to find Key Results for an Objective, ask yourself “How will I know when my Objective has been achieved?”. Make sure to choose Key Results that are outcome based, look for metrics you don’t directly own or control, but that you can influence. What’s the difference between an Objective and a Goal? The main difference between an Objective and goal is that goal often contain metrics, Objectives never do. For example, “Grow revenue by 15% in 1 year” is a goal. In OKR this would be split into an Objective which answers “why” and a Key Result “Grow revenue by 15% in 1 year” which always contains a metric. Read more about the difference between goals and OKRs here. What’s the difference between OKR and MBO? OKR and MBO are both goal setting frameworks. OKR is an extension of MBO with a focus on measuring the outcomes of the Objectives using Key Results. This makes OKR more specific than MBO. What’s the difference between OKR and SMART goals? OKR and SMART are both goal setting frameworks that have their roots in MBO. The difference between OKR and SMART lies in the definition of how a goal is constructed. With SMART all goals must be, Specific, Measurable, Achievable, Relevant and Time-Bound. The downside to SMART is that “achievability” is difficult to gauge. What’s the difference between OKR and Balanced Scorecards? OKR is a goal setting framework, BSC or Balanced Scorecards is a framework for creating company strategy. While BSC has been adopted by many organizations its complexity and scalability are both areas where many have found OKR to be a better alternative. Read more about the difference between the two here. How long does it take to implement OKRs? A typical OKR program can take time to implement and get right. OKR is a continuous learning process and what works for one company might not work for another. Typically the first 3 months are the most difficult as this represents the first cycle for Group OKRs. Once the first three months are over OKRs can be reviewed and the program adjusted. How many people need to use OKR to see the benefits? We recommend a minimum of 25 people. OKR works best when a company grows beyond a certain size and the executive team begins to rely on management to ensure the execution of company strategy. Who should be in charge of my OKR program? We always recommend that someone on the senior leadership or a Champion team drives the uptake of OKR in an organization. Once an OKR program has been rolled out, this can be handed off to an Ambassador, who then becomes responsible for program management and acts as a single point of contact for all matters related to OKR. What percentage of completion makes an OKR a success? 70% to 80% is the sweet spot. If you’re consistently reaching 100% on your OKRs, they’re not challenging enough. How do I tie bonuses to OKRs? We don’t recommend tying bonuses to OKRs in the same way we don’t recommend individual OKRs. Not achieving OKRs is just as important as achieving them. We see underperformance as an opportunity for discussion and a change of direction rather than a way to penalise individuals for what they failed to achieve. How many Objectives should my company have? A company should have one Ultimate OKR, set on a long timescale of 5 to 7 years. 3 to 5 Company Objective should be set yearly that cover strategy. Groups like teams or departments should set 3 to 5 OKRs per quarter, aligned to the company OKRs. How many Key Results should my company have? Each OKR, whether Ultimate, Company or Group should have no more than 5 Key Results. 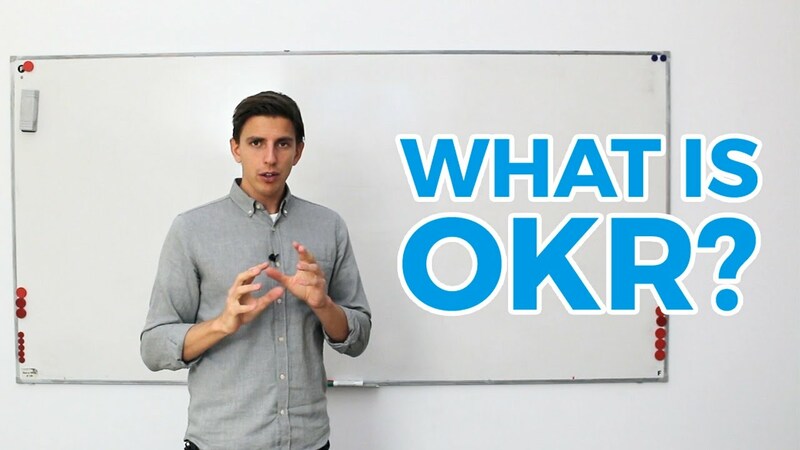 Learn how to write great OKRs! Download a copy of our eBook and get practical tips on creating awesome Objectives and Key Results.